In early Dallas, residents lived and worked close to the courthouse and town square, near the Trinity River, most living in either hotels or boarding houses. With the growth of the population and expansion of businesses, residential areas developed both north and east of the downtown area. The Cedars, another residential development, began southward in the 1860s. 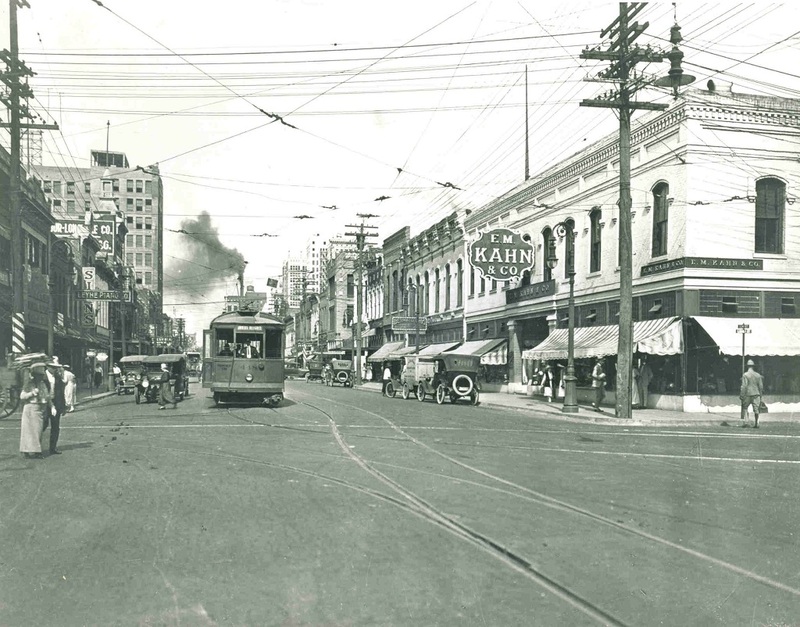 Until the 1880s, most Jews lived close to their businesses in downtown Dallas, some living behind or over “the store.” These earliest Jewish residents of Dallas were primarily German Jews who came with a strong desire to make a success of their new lives in America. 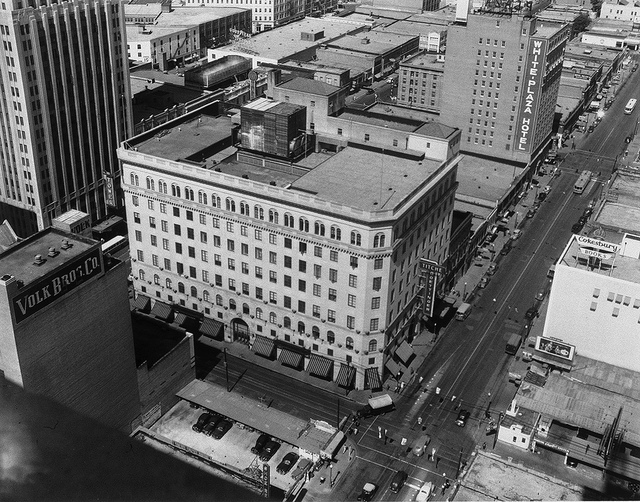 The downtown Dallas area became home to many Jewish merchants, the largest of whom became known as the “merchant princes,” including Alex & Philip Sanger, Edward Titche, Max Goettinger, E.M. Kahn, A. Harris, and more. 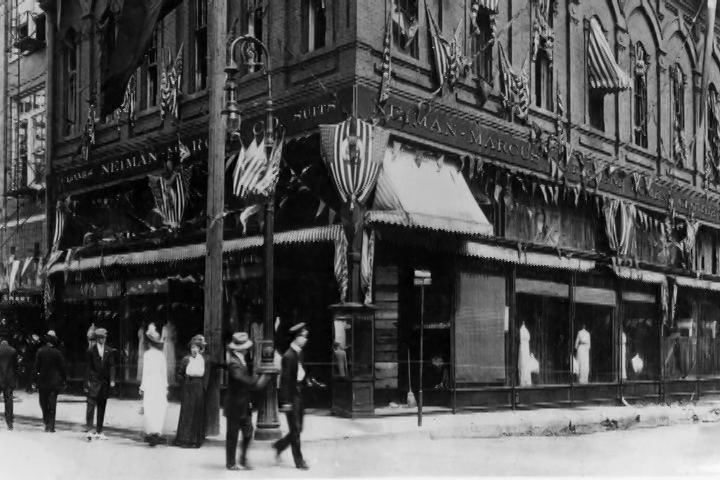 Businesses sold staple and fancy dry goods, groceries, ready-made clothing, textiles and more, while those with more specific trades opened tailor shops, bakeries and other businesses. Dallas also had a cotton economy, with the largest inland cotton market in the country by 1918, and many businesses depended on the cotton trade. A street once populated with a plethora of Jewish homes and businesses, including Nardis of Dallas. 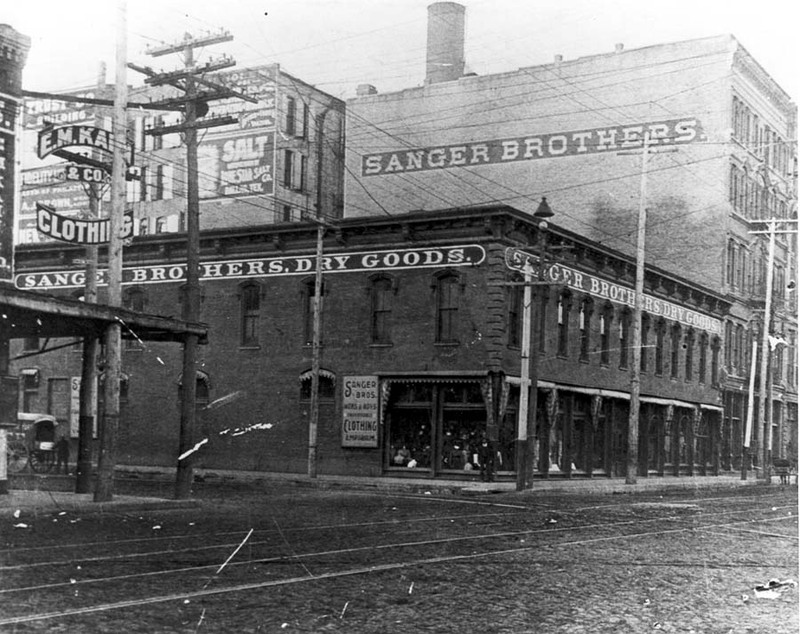 Sanger Bros.' Department store as opened by several of the Sanger Bros. who decided to make North Texas the home of their commercial efforts following the Civil War. E.M. Kahn Company was another clothier in Dallas, founded by Emanuel Meyer Kahn, a French-Jewish immigrant, in 1872. Neiman Marcus Flagship store Main St.